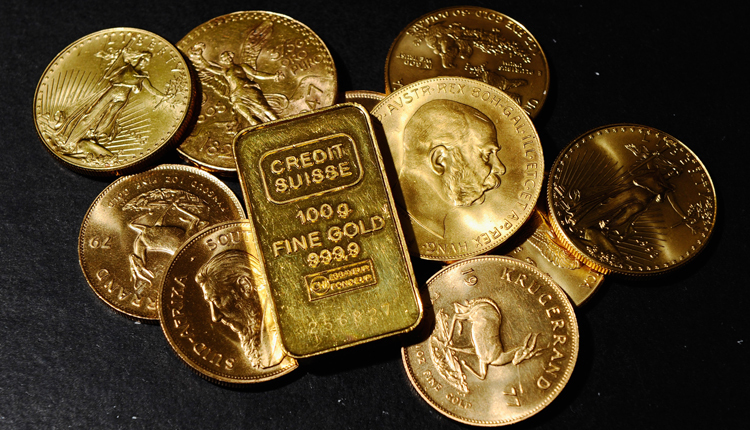 Gold prices slipped on Thursday as the dollar steadied and equities climbed on signs of easing trade tensions between the United States and China, while palladium rose to a record high, trading at a premium to the bullion. Spot gold was down 0.2 percent at $1,243.91 per ounce, as of 0415 GMT, while U.S. gold futures were 0.1 percent lower at $1,249.3 per ounce. However, analysts see uncertainties around the Brexit deal and expectations of the U.S. Federal Reserve’s dovish tone at its meeting next week, supporting the yellow metal. Markets are not expecting more than one rate hike from the U.S. central bank next year, after a likely interest rate increase at the Federal Open Market Committee (FOMC) meeting on Dec. 18-19. Spot gold looks neutral in a range of $1,240-$1,253 per ounce, and an escape could suggest a direction, said Reuters technical analyst Wang Tao. Among other precious metals, spot palladium was down 0.2 percent at $1,258.90 per ounce, having touched a record high of $1,264.25 earlier in the session. Palladium rose strongly on the news that China would be reducing tariffs on U.S. imported autos, raising hopes that the sector would be boosted by additional demand, analysts at ANZ said in a note. Silver was up 0.1 percent at $14.75 per ounce, while platinum climbed 0.3 percent to $800.49.